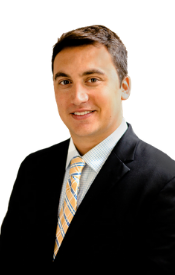 Spencer is an accomplished Sales Professional who brings a strategic, yet personable approach to the home buying and selling process. Drawing from years of experience in the technology field, Spencer has built a reputation for going above and beyond for the best interest of his clients. His years of negotiation and process expertise assist him in simplifying and streamlining the complex real estate transaction. Spencer’s passion for helping people paired with his business knowledge creates a first class experience for Dorn Real Estate clients.